I was sooooo excited to receive this wide 63mm grosgrain ribbon in my little stash from Sarah Lauren. 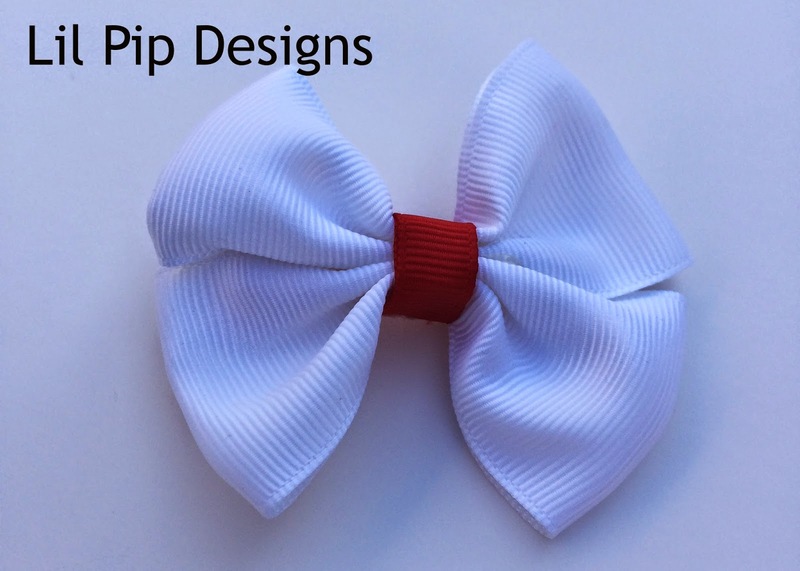 I’ve made a few of these bows from regular 22mm or 1 inch ribbon but now seeing the end result with this wider ribbon – it is well worth buying some! I think I need to make them with navy for my Miss 6 for school. Whenever I put regular ribbons in her hair they just come un-done so this would be a great alternative. I haven't done a step by step tutorial for this one as perhaps it needs photos rather than a description. White isn't the best to take photos of but I can give it a go if you are interested? 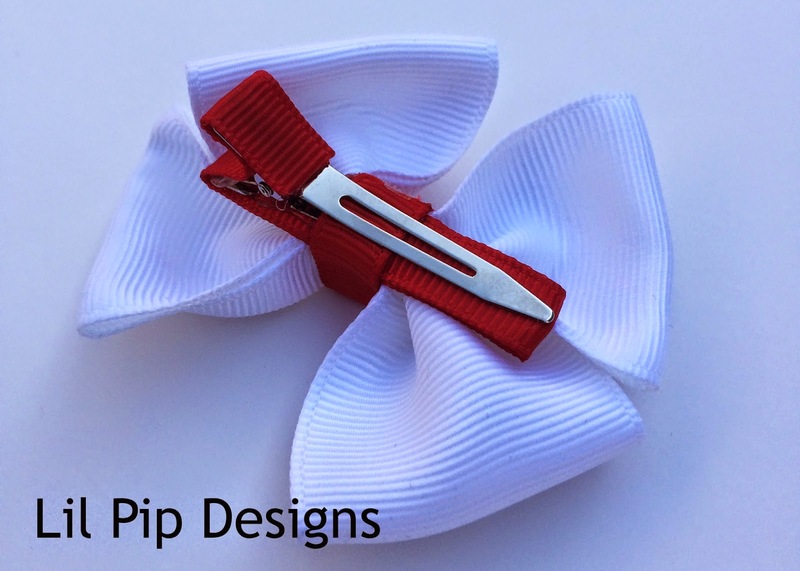 I covered an alligator clip and attached it with 9mm red grosgrain ribbon. You could also tie a little knot and centre it on the front or even add a little bling. 63 or 75 mm grosgrain ribbon - loads of colours! 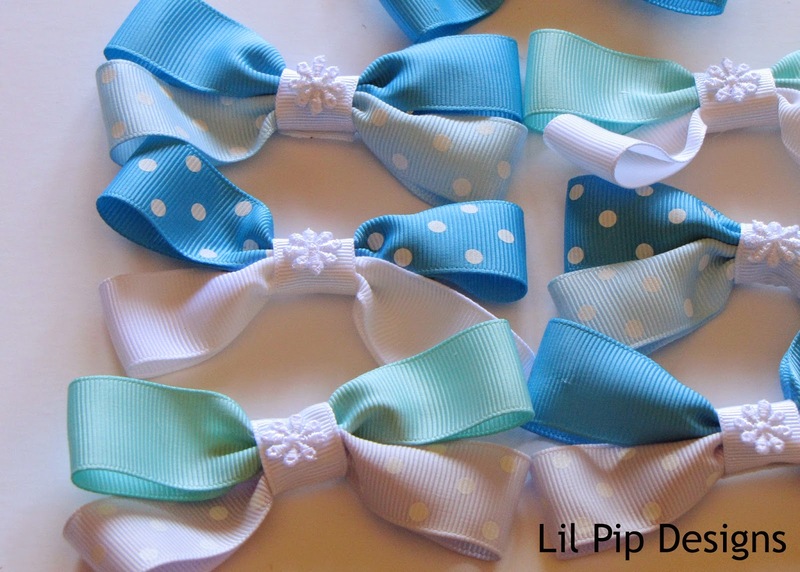 Now here is some I made for my daughters Frozen party for the gift bags. Obviously these are a wider finished size but you can see the narrow 1 inch (or 22mm) wide grosgrain doesn't work as well for this style. Still very pretty and loved by the little recipients but the wider ribbon is much puffier! !